Feel SAFE shopping with us: Your credit card information is not seen by operators or stored! This privacy statement covers the site WWW.PTOUCHDIRECT.COM. 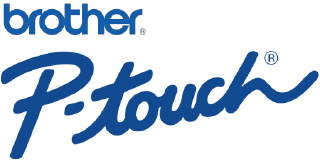 If users have questions or concerns regarding this statement, please contact the CUSTOMER SERVICE DEPARTMENT by email: privacy @ ptouchdirect.com , by phone or postal mail. We request information from the user on our order form hosted by Yahoo! A user must provide contact information (such as name, email, and shipping address) and financial information (such as credit card number, expiration date). This information is used for billing purposes and to fill customer’s orders. If we have trouble processing an order, the information is used to contact the user. The security of your personal information is important to us. Although no method of transmission over the Internet, or method of electronic storage is 100% absolute secure, we follow leading industry standards to protect the personal information submitted to us, both during transmission and once we receive it. When you enter sensitive information (such as credit card numbers) on our order form, the information is encrypted using secure socket layer technology (SSL). If a user wishes to subscribe to our newsletter, we ask for contact information such as name and email address. Out of respect for our users privacy we provide a way to opt-out of these communications. To unsubscribe through the newsletter itself, click on the link provided at the bottom of every newsletter. On rare occasions it is necessary to send a service-related announcement. For instance, if our service is temporarily suspended for maintenance we might send users an email. Generally, users may not opt-out of these communications, though they can deactivate their account. However, these communications are not promotional in nature. Testimonials: We reserve the right to post customer comments on our site but will not publish a full name without permission. If we wish to include a name associated with a testimonial or survey response, we will contact that individual by phone or email requesting permission to use their complete name. We use an outside delivery company to ship orders, and a credit card processing company to bill users for goods and services. These companies do not retain, share, store or use personally identifiable information for any secondary purposes. From time-to-time our site requests information from users via surveys or contests. Participation in these surveys or contests is completely voluntary and the user therefore has a choice whether or not to disclose this information. The requested information typically includes contact information (such as name and shipping address), and demographic information (such as zip code). Contact information will be used to notify the winners and award prizes. Anonymous survey information will be used for purposes of monitoring or improving the use and satisfaction of this site. Users’ personally identifiable information is not shared with third parties. Though we may use an intermediary to conduct these surveys or contests, they may not use users’ personally identifiable information for any secondary purposes. If a user’s personally identifiable information changes (such as zip code, phone, email or postal address), or if a user no longer desires our service, we provide a way to correct, update or delete/deactivate users’ personally identifiable information. This can usually be done by emailing Customer Support . Or, contact us by telephone or postal mail at the contact information listed below. If, however, we are going to use users’ personally identifiable information in a manner different from that stated at the time of collection we will notify users via email and / or by posting a notice on our Web site for 30 days.